OMAHA – November 11, 2018 – American Midwest Ballet, founded nearly a decade ago by artistic director and CEO Erika Overturff, is preparing for an epic holiday touring season. Following two sensational season debut performances of Momentum: Rhapsody in Blue to capacity crowds last month, the thriving ballet company turns its attention to the beloved holiday classic, The Nutcracker. “We are used to performing The Nutcracker in several cities during the holidays,” says Overturff. This season, American Midwest Ballet’s touring roster expands to include four performances of The Nutcracker in San Antonio, Texas. The company has 16 performances in five cities scheduled from Nov. 18 through New Year’s Eve. In addition to San Antonio, and its home stages in Omaha (The Orpheum) and Council Bluffs (Iowa Western Arts Center), the company will also tour to Spirit Lake, Iowa and Vero Beach, Florida. Each season, people of all ages flock to The Nutcracker. What is it about this ballet that holds such appeal to audiences across the country? The power of the performing arts to create a sense of community can be seen in those pauses in life where people gather to share an experience. The Nutcracker is one such wonderful experience. And who doesn’t need more of that in their lives? American Midwest Ballet’s The Nutcracker premieres this weekend at Iowa Western Arts Center. Tickets for all performances are on sale now. 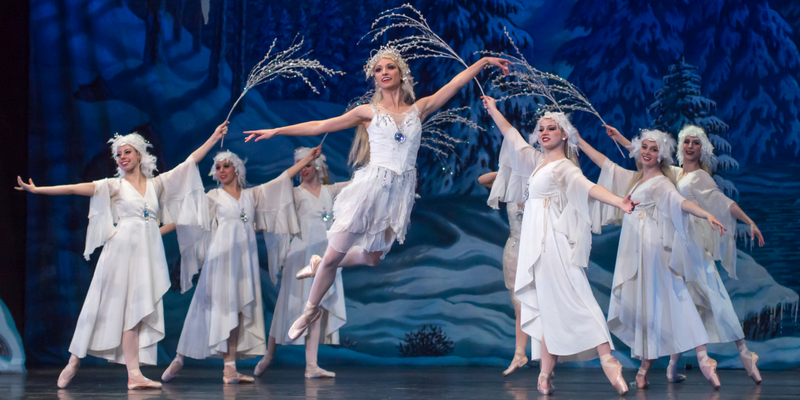 In addition to its Nutcracker tours, American Midwest Ballet will tour two more productions in Vero Beach, Florida. The company will also bring Erin Alarcon’s The Wizard of Oz to Sioux City, Iowa for a special engagement ahead of its world premiere in Omaha on May 4 at the Orpheum Theater. Learn more about American Midwest Ballet on Tour.